Reggie Young kept meticulous records of virtually every recording session he's been involved in for over 50 years (mostly, he said, to make sure he got paid!). Long considered the 'Holy Grail' by music historians and record collectors alike, these session log books have now been 'digitized' by Soul Detective through a special arrangement with ​ The Reggie Young Collection. 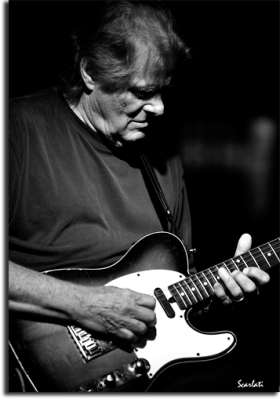 From the early days of Rockabilly, to the tight instrumentals that helped define The Sound of Memphis, Reggie Young was there. He was there at the very dawn of Memphis Soul, playing on seminal records by artists like O.V. Wright and James Carr. He was there to anchor the house band at Chips Moman's American Sound Studio in Memphis, where he would play on over 120 chart hits. Moving on to Nashville in the early seventies, Reggie would soon become the Music City's 'go-to' session guitarist, often recording in three different studios in one day, and playing behind everyone from George Jones and Merle Haggard to Waylon and Willie and The Boys. As the web page containing each year's session notes is completed, it will be posted by Soul Detective and listed in chronological order below. In addition to the discography page for that year, there will also be a comprehensive 'liner notes' and discussion page where we encourage you to join in the conversation. "1964, the first year that Reggie kept records of the sessions he played on, saw him moving around quite a bit... from Muscle Shoals to Memphis, Milwaukee to Mansfield, it was the year that was." "1965 saw Reggie staying closer to home, working primarily as the studio guitarist at Royal... although I'm sure it was a little different than opening for The Beatles, Reggie was still performing live." "In 1966 Reggie continued as the session guitarist at Royal, while branching out even further into work at other Memphis studios like Sam Phillips Recording (aka Sun), Pepper, American, Sonic and on into Nashville"